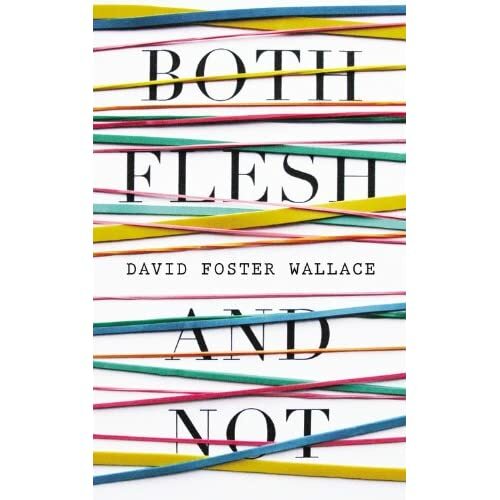 Both Flesh and Not: Essays, by David Foster Wallace, due on November 27, 2012, and now available for pre-order at Amazon.com. Beloved for his epic agony, brilliantly discerning eye, and hilarious and constantly self-questioning tone, David Foster Wallace was heralded by both critics and fans as the voice of a generation. BOTH FLESH AND NOT gathers 15 essays never published in book form, including "Federer Both Flesh and Not," considered by many to be his nonfiction masterpiece; "The (As it Were) Seminal Importance of Terminator 2," which deftly dissects James Cameron's blockbuster; and "Fictional Futures and the Conspicuously Young," an examination of television's effect on a new generation of writers. A sweeping, exhilarating collection of the author's most emotionally immediate work, BOTH FLESH AND NOT spans almost 20 years of Wallace's career and reminds us why A.O. Scott called him "The Best Mind of His Generation" (New York Times). David Foster Wallaces previously uncollected non-fiction has just arrived, for publication as Both Flesh and Not later this year, as have four new scenes to be included in our paperback of The Pale King this Spring.